From 7000 BCE to today, at least 19 cities have led the world in population. We’ve profiled each of them, taking data and insights primarily from “Why the West Rules — For Now” by Stanford historian and archaeologist Ian Morris. DeliDumrul on WikipediaConstantinople — one of the greatest cities in history. Cities have, of course, grown vastly bigger over time. Nine thousand years ago, Çatalhöyük led the world with 1,000 people. Today, Tokyo has 38 million. This trend is a mark of increasing social complexity, and it could be just getting started. Çatalhöyük led the world with 1,000 people by 7000 BCE. 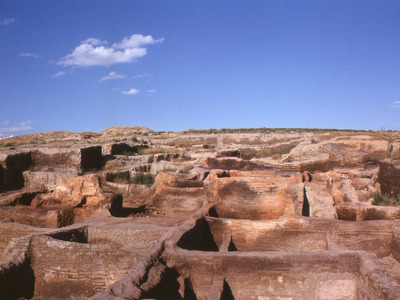 Located in Turkey, Çatalhöyük is considered by many to be the world's first city. By 6500 BCE its population of 3,000 was even more impressive. The city included hundreds of mud-brink homes stacked on two mounds. It was so dense that people walked on the roofs of houses rather than streets. The city had a rich culture, evidenced by murals, figurines, and ceremonial burial sites. 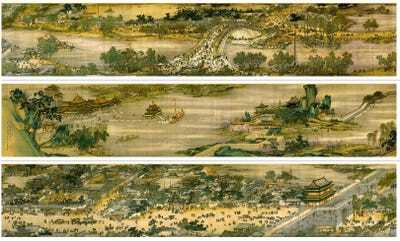 A painting on one wall has been called the world's oldest map and the world's oldest landscape painting. Çatalhöyük was abandoned around 5700 BCE. Tell Brak led the world with 4,000 people by 5000 BCE. Located in Syria, Tell Brak was part of a major trade route, situated on a river crossing between Anatolia, the Levant, and southern Mesopotamia. The city was also home to the 'Eye Temple,' named by archaeologists for the discovery of hundreds of idols featuring big eyes. Uruk took the lead with 40,000 people by 3300 BCE. Located in Iraq by the Euphrates River, Uruk expanded during a long period of poor harvests, as people were forced to organise to survive. There is evidence here of rationing, taxation, an increasingly hierarchical society, and an emerging state. 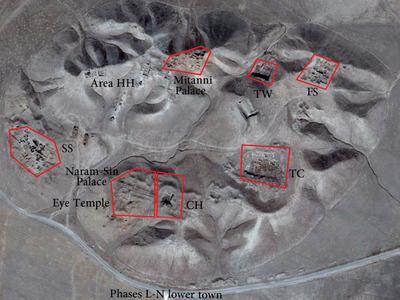 Uruk culture came to dominate cities from Syria to Iran. The legendary king Gilgamesh, memorialised in the early epic, ruled Uruk around the 27th century BCE. Uruk began losing ground to regional rivals a century or two later. Memphis took the lead with 35,000 people by 2250 BCE. After the legendary first pharaohs unified Egypt around 3100 BCE, they built a new capital at Memphis. From the royal city, strategically located between Upper and Lower Egypt, the pharaohs collected taxes from around the country and dispensed patronage to local lords. 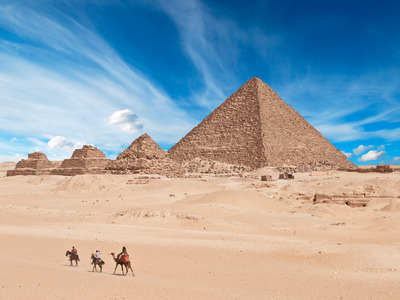 The city is known for the nearby pyramids, where pharaohs were buried, as well as the Great Sphinx. Memphis declined after the rise of Thebes and then Alexandria. Today it is preserved as a heritage site. Babylon took the lead with 60,000 people in 1770 BCE. Pieter Bruegel the elder on Wikipedia. 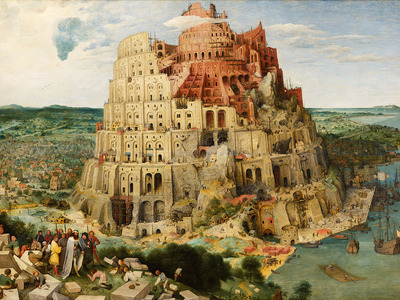 A painting of The Tower of Babel. Located in Iraq, Babylon surged to prominence as the capital of Hammurabi's short-lived Babylonian Empire. The city achieved glory again in the sixth century BCE with the construction of the Hanging Gardens -- one of the seven wonders of the ancient world. The city is known from the Bible as a center of materialism and sin, home to the supposedly blasphemous Tower of Babel, which may have been inspired by a 300-foot ziggurat in the city. 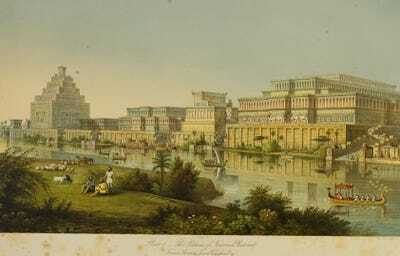 Babylon remained a major city under various rulers until the 7th century CE. Thebes took the lead with 75,000 people by 1500 BCE. Located in Egypt, Thebes emerged as the capital city a rival dynasty in 2134 BCE. When that dynasty won out after several centuries, the city was the capital of all Egypt. Thebes flourished during this period, with a large civil service, extensive trade, and vast temples. Thebes permanently lost capital status in the 13th century BCE and was destroyed by the Assyrians in 667 BCE. Still, it held on in one form or another and lives on today as the city of Luxor. Nimrud took the lead with 75,000 people by 800 BCE. 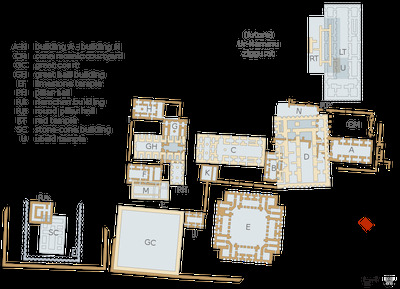 The palaces of Nimrud, as imagined by the city's first excavator. Located in Iraq at a strategic point on the Tigris River, Nimrud was the capital of the Neo-Assyrian Empire. 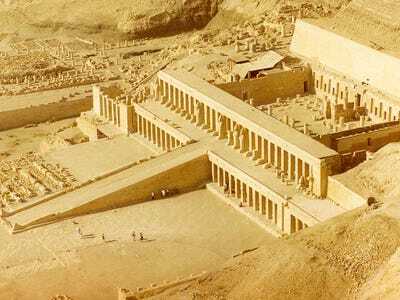 In the 9th century BCE, King Ashurnasirpal II built a huge palace made of 'cedar, cypress, juniper, boxwood, mulberry, pistachio wood, and tamarisk' filled with art and treasure. He also built temples, botanical gardens, and a zoo. His son, King Shalmaneser III, would go on to build a palace that was twice as big. Nineveh took the lead with 100,000 people by 700 BCE. One of Nineveh's great gates today. 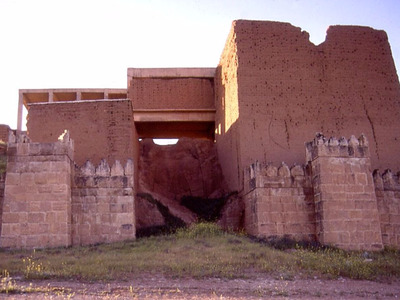 Located in Iraq, Nineveh was settled as early as 6000 BC. By 3000 BCE it was a major religious center for the goddess Ishtar. The city really took off around 700 BCE when the Assyrian King Sennacherib built a 'palace without rival.' The city was spread over 7 square kilometers, with 15 great gates, 18 canals, and several sections of aqueduct. Nineveh was besieged and sacked in 612 BC as the Neo-Assyrian empire crumbled. Alexandria took the lead with 150,000 people by 300 BCE. Located in Egypt, Alexandria was founded by Alexander the Great in 331 BCE. It quickly became the largest city. It would be the capital of the country for the next 1,000 years. The Mediterranean city was home to the Lighthouse of Alexandria -- one of the tallest buildings in the world -- and the Great Library of Alexandria -- the biggest in the world. In addition to Greeks and Egyptians, the city had the largest urban Jewish population in the world. 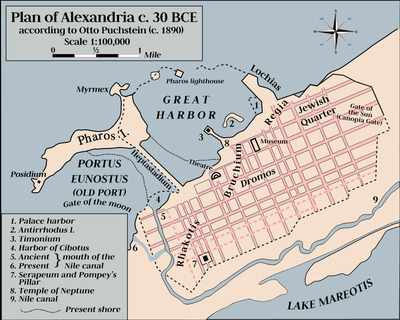 Alexandria declined during the Roman empire and Muslim conquest. Rome took the lead with 400,000 people by 100 BCE. The Colosseum of Rome today. Founded around the 8th century BCE, Rome conquered the Italian peninsula and came to dominate the Mediterranean by the second century BCE. Julius Caeser's conquest of Gaul in the first century BCE led to the establishment of the Roman empire. The ruins of Ancient Rome are known around the world, from the Colosseum, where as many as 80,000 spectators watched gladiators fight, to the Forum, the site of parades, elections, and trade, to the Pantheon, a temple that has still the world's largest unreinforced concrete dome. Rome grew to larger than 1 million people by 1 BCE. 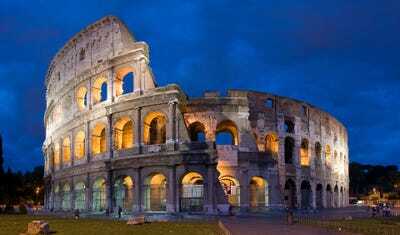 It remained the world's largest city until the 4th century CE when the Western Roman empire crumbled. Constantinople led with world with 450,000 people by 500 CE. Located in Turkey, Constantinople became the new capital of the Roman empire in 324 AD. By 500 CE, it was the largest city that remained after the fall of Rome. It too was shrinking under pressure from the Huns and other regional rivals. In 537 CE, the emperor Justinian I built the famous Hagia Sophia church. 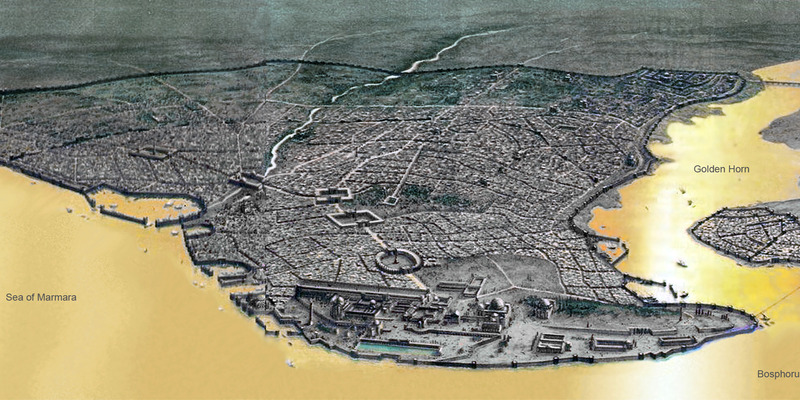 Constantinople would decline to around 100,000 people by 700 CE before growing again, remaining one of the biggest cities in the west until the 18th century. Chang'an took the lead with 600,000 people by 600 CE. 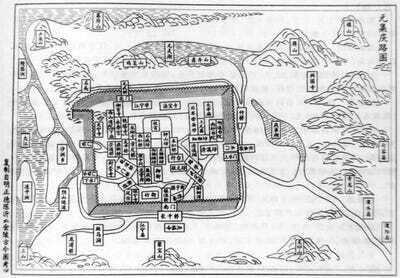 Chang'an during the Sui Dynasty. Located in north-central China, Chang'an was the capital of more than ten dynasties. It became the largest city in the world under the Sui Dynasty, as China emerged as the world's most powerful country. Soon the city sprawled across more than 30 square miles, and by 700 CE it had a population of 1 million. Said the poet Bai Juyi, the city had 'hundreds of, thousands of houses -- like a great chessboard … like a huge field planted with rows of cabbages.' It had tree-lined boulevards five times as wide as New York's Fifth Avenue. Chang'an declined sharply at the end of the Tang dynasty in 904. It lives on today, however, as the booming city of Xi'an. Kaifeng took the lead with 1M people by 1000 CE. A scroll possibly showing life in 12th century Kaifeng. Located near China's Grand Canal, Kaifeng was the capital of the Song dynasty. It was the most industrialized city in the world, with vast iron works and shops, bars, and theatres filling every corner. As the city ran low on wood to burn, Kaifeng discovered the potential of coal and tapped a major nearby deposit. Twenty new coal markets opened in the city between 1102 and 1106. Hangzhou took the lead with 1M people by 1200 CE. 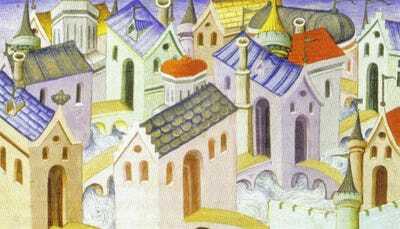 Hangzhou in a French illustration from 1412. Located at the southern end of China's Grand Canal, Hangzhou was a major trading city and the capital for the second half of the Song dynasty. The Moroccan traveller Ibn Battuta, who visited in 1345, called it the largest city he had ever see. Hangzhou lost its capital status after the Song dynasty ended and gradually lost trade to more coastal cities. 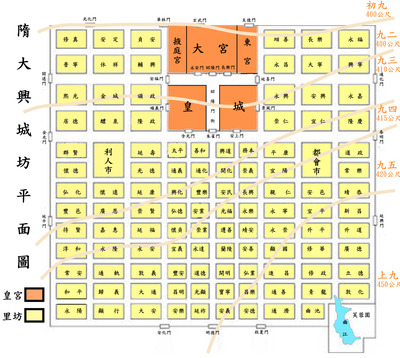 Nanjing took the lead with 500,000 people by 1400 CE. Located in the Yangtze River Delta, Nanjing was the capital of the Ming dynasty. It was here in 1405 that the Yongle Emperor launched the first of several treasure voyages, sending fleets of the biggest wooden ships ever to travel as far as Africa (or by some accounts America). Not long after, however, political struggles forced the emperor moved his capital to Beijing, and Nanjing declined. Beijing took the lead with 600,000 people by 1450 CE. Beijing became the capital of the Ming Dynasty in 1420. It has been China's capital ever since. 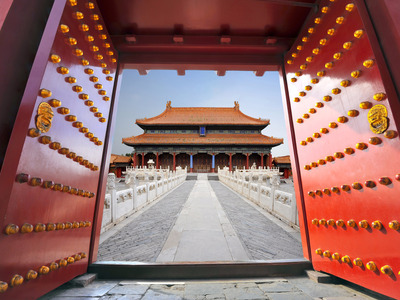 Ming Dynasty Beijing saw the construction of the Forbidden City and the Temple of Heaven. Despite mutinies, invasions, and plagues, Beijing remained the largest city in the world for several centuries, with an unmatched 1.1 million people in 1800. London took the lead with 1.9 million people by 1841. London became the world's largest city during a period called Pax Britannica, when Britain emerged as the world's only superpower. Powered by the Industrial Revolution, London expanded incredibly fast, reaching 7.4 million by 1914. Helping the city grow were a vast new railway system and an ambitious sewage overhaul. 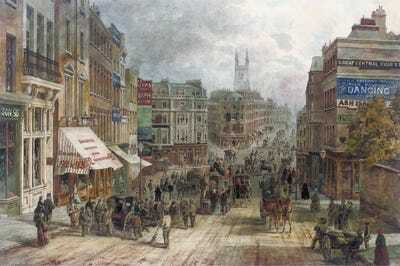 Despite its prominence, London was known to be dirty, overcrowded, and dangerous. New York took the lead with 7.8 million people by 1925. 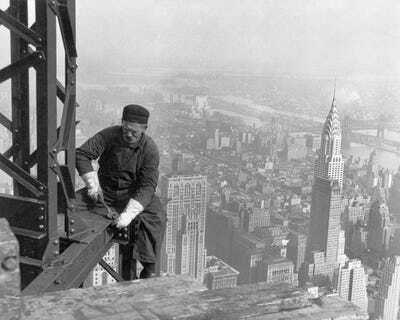 Building the Empire State Building. As America's economy boomed after WWI, New York emerged as the world's leading city. The city was the capital of American finance, a major port, and a major immigrant destination. It created the world's most famous skyline with an influx of skyscrapers, including the Chrysler Building in 1930 and the Empire State Building in 1931. New York's population has soared to 23.7 million across the urban area, though it is now only the fifth biggest city in the world. Tokyo took the lead with 15 million people by 1965. Tokyo was completely rebuilt after WWII, setting the stage for it to become the largest city in history. Japan's economy boomed in this new era, driven by advanced technology, a partnership with the US, and high levels of organisation, and Tokyo grew with it. Although Japan's economy has slowed since 1989, Tokyo remains the largest city in the world with 37.8 million. The Japanese capital has the most Fortune Global 500 companies of any city and by far the most Michelin starred restaurants. It is known as the safest big city in the world. A traffic jam on the streets of Mumbai.